When you need to have your valuables repaired, trust none other than Gendron’s Jewelry & Pawn in West Warwick, RI. We can fix all kinds of watches and jewelry. From resizing to refurbishing, we can do it all. When a quartz watch stops, it is usually blamed on the battery. However, quartz watches also have wheels, gears, and electronic components that can need replacing. Watch manufacturers suggest that watches be cleaned, oiled, and serviced every three to five years. This will ensure that the components are properly lubricated and that the mechanism is free of dust, dirt, and moisture. Just some of the brands our licensed technicians know inside and out. Our experienced technicians will examine your watch and then contact you to let you know what needs to be fixed as well as the cost. You can decide which repairs are to be made. If you want us to give you back the watch without fixing anything, just let us know. Also, please note that estimates to repair an item typically takes two weeks. We can also take care of minor repairs like crystal, crown, and pin replacements, dial changes, and case/bracelet adjustments. At our shop, we use the most modern equipment available for our watch and jewelry repair services. Since the tools are only as good as the people who utilize them, we make sure that our staff members are fully trained to use them. Our watchmakers take pride in their trade and regularly attend continuing education courses. 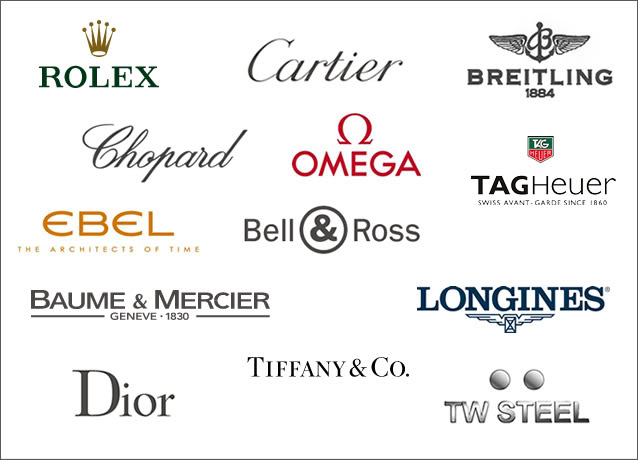 They can service nearly every brand of timepiece, including Timex, Rolex, and Omega. Whether you own a wristwatch, a pocket watch, a quartz watch, or an automatic watch, you can count on our team to make it work as if it were new.